Oakfield was started by two chums from their days in the forces. Always based in the market town of Blandford in Dorset, Joe Smith and Terry Greenslade started with taxis and grew through minibuses to the operation of full size buses and coaches. In that time honoured division of responsibilities, Joe ran the office - aided by Terry's wife Eileen - and Terry looked after the engineering side of things. Their yellow and blue fleet of coaches soon became a familiar sight on school contract and private hire work, and the firm evolved slowly into market day type bus operations, originally with a Tuesday service from Sturminster Marshall to Salisbury (to the initial displeasure of the incumbent operator Wilts & Dorset). 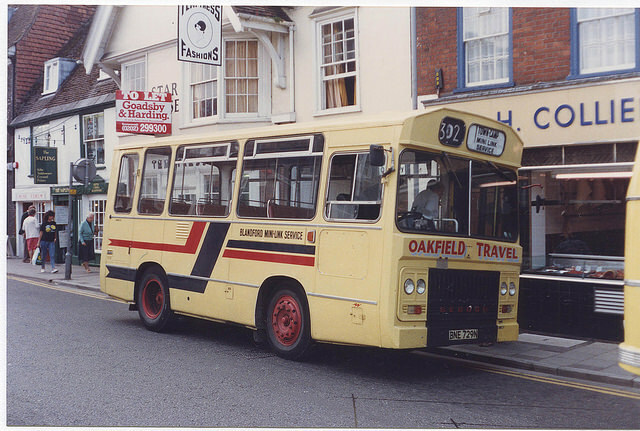 The fleet name Oakfield came from the street in which the proprietors lived in Blandford at the time, similar to the way in which another Blandford based business - Damory Coaches - was named after a public house in the town! Growing pains meant that the business could no longer be run from outside the partner's homes and a new purpose built depot was established on the Sunrise Park trading estate just to the north of Blandford. 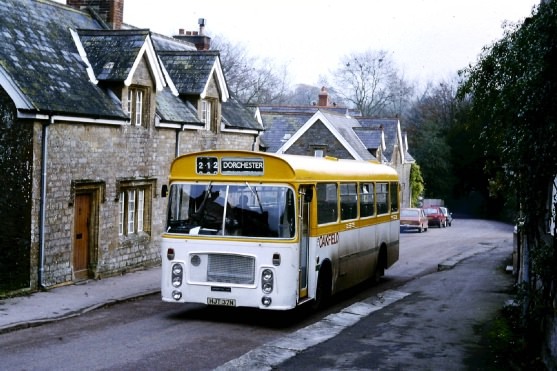 With bus deregulation in 1986, a successful tender bid was made for the county council subsidised contract to operate the four times daily Blandford - Shillingstone - Child Okeford - Sturminster Newton - Okeford Fitzpaine route. This had always been a Bere Regis route since daily operation of the service had started forty years earlier, when Bere Regis had taken over the route from the original village operator, Charlie Fripp of Okeford Fitzpaine, in 1946. 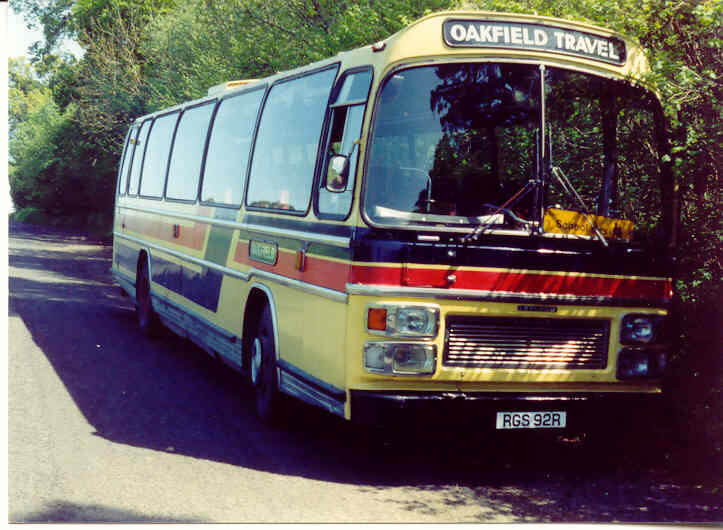 This route represented quite a considerable expansion of activity for Oakfield, being their first daily bus operation. The Saturday journeys, which commenced back at the village of Woolland, were extended from Blandford to run through to Poole and Bournemouth. In 1989, Oakfield took over the operations of the Stanbridge and Crichel company. The firms had worked closely together in the past and the respective proprietors were friends of long standing. The two garages at Sunrise Park, Blandford and at Stanbridge near Wimborne were both continued as operating bases. 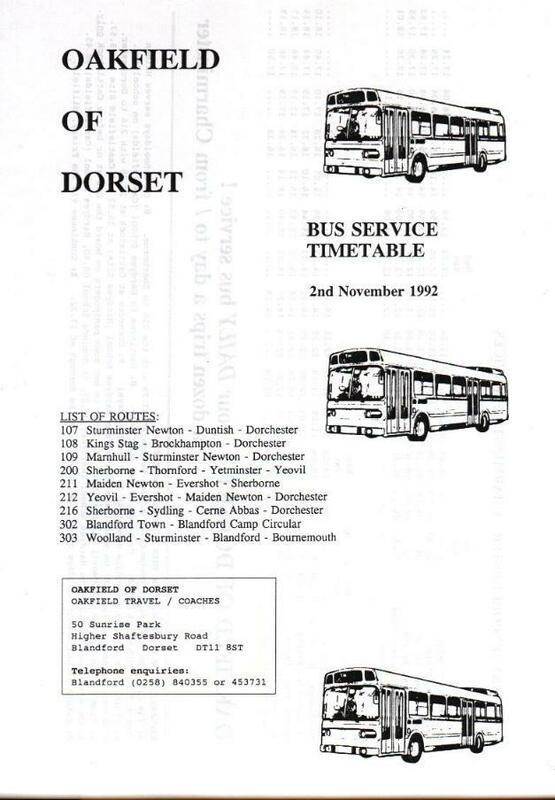 The work taken over from Stanbridge included the Rossmore Bus service in Parkstone as well as the traditional Stanbridge country routes from Wimborne to Witchampton, Cranborne, Verwood and Salisbury, along with their school contract work. A few years later retirement beckoned Joe and Terry and in November 1992 the Oakfield business was sold to a somewhat unexpected purchaser, the ex-London Country Bus operator, Guildford and West Surrey. A further rapid period of expansion ensued when the new owners of Oakfield successfully bid for the tendered routes between Dorchester, Cerne Abbas and Sherborne (ex-Southern National, previously ex-Bere Regis); Dorchester, Cattistock and Yeovil (ex-Southern National, previously ex-Pearce of Cattistock); and Dorchester, Piddle Valley to Sturminster Newton (ex-Bere Regis). The operation of a network reliant upon a mixed fleet of outstationed vehicles and drivers thirty to forty miles away from the Oakfield base at Blandford was to prove troublesome and unreliable, and at one stage the council insisted on a letter of apology from operator to passengers. The Sherborne and Yeovil routes soon reverted to Southern National, with the Piddle Valley route passing to Wilts & Dorset, later to their subsidiary Damory Coaches. Wilts & Dorset, having purchased another smaller Blandford private operator, Damory Coaches, from its proprietor and founder Vic Kimber, then also acquired the Oakfield business from Guildford and West Surrey, including all their Blandford and Wimborne area routes, in November 1993. As part of the GoAhead group now Damory continue to operate the ex-Oakfield and ex-Stanbridge routes (and other routes around the county too, although county council cutbacks in April 2016 have led to a considerable thinning out). Sadly Terry died in 2012 and then Joe in 2015. Terry at the wheel . . . . .
Bristol LH / ECW bus HJT37N in Evershot during Oakfield's brief 1993 tenure on the Dorchester - Yeovil services.